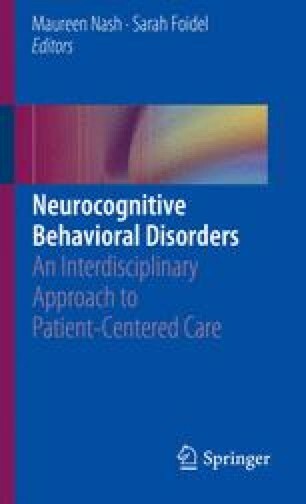 Behavior disturbance in people with neurocognitive disorders is a major challenge for caregiving and quality of life. Common neuropsychiatric symptoms include sleep disturbance, aggression, anxiety, depression, and agitation. As a part of patient-centered care, individual needs of the person must be considered when attempting behavioral interventions. By reviewing the evidence regarding short- and long-term outcomes of nonpharmacological choices for behavioral interventions, care providers can make patient-centered choices. Sensory, cognitive, emotional and environmental interventions are explored in reference to major neurocognitive disorder (dementia). An emphasis is placed on the importance of caregiver education and environmental modifications.